The sights, sounds, and smells of the modern marketplace are rarely accidents. More likely, they are tools of an evolving strategy of psychological marketing called “sensory marketing” designed to win your loyalty and, most of all, your dollars. The area of psychological marketing known as "sensory marketing" is an advertising tactic intended to appeal to one or all of the five human senses of sight, hearing, smell, taste, and touch to create an emotional association to a specific product or brand. A successful sensory branding strategy taps certain beliefs, feelings, thoughts, and memories to create a brand image in the customer's mind. For example, if the smell of pumpkin spices in October makes you think of Starbucks, it's no accident. While humanity's first retailers knew the brain held the key to the pocketbook, sensory branding dates back to the 1940s, when marketers began exploring the effects of sight in advertising. With printed posters and billboards sill the main forms of visual advertising, their research focused on the effects of various colors and fons. As television began finding its way into virtually every American home, advertisers began appealing to consumers’ sense of sound. The first TV commercial featuring a catch "jingle" is believed to be an advertisement for Colgate-Palmolive's Ajax cleanser, aired in 1948. Noting the growing popularity of aromatherapy and its connection to color therapy, marketers began researching the use of smell in advertising and brand promotion during the 1970s. They found that carefully selected scents could make their products more appealing to consumers. More recently, retailers have seen that infusing certain scents throughout their stores could increase sales and the popularity of multi-sensory marketing is on the rise. By relating to people in a far more personal way, sensory marketing is able to affect people in a way that traditional mass marketing cannot. Classic mass marketing works on the belief that people—as consumers—will behave "rationally" when faced with purchasing decisions. Traditional marketing assumes that consumers will systematically consider concrete product factors like price, features, and utility. Sensory marketing, by contrast, seeks to utilize the consumer's life experiences and feelings. These life experiences have identifiable sensor, emotional, cognitive, and behavioral aspects. Sensory marketing assumes that people, as consumers, will act according to their emotional impulses more than to their purely objective reasoning. In this way, an effective sensory marketing effort can result in consumers choosing to buy a certain product, rather than an equal but less expensive alternative. According to Iowa State University Professor Jihyun Song, consumers relate various brands to their most memorable experiences—good and bad—ith their buying behaviors driven by "storytelling and emotion." In this manner, sensory marketers work to create emotional ties that link the consumer to the brand. According to marketing experts, consumers tend to subconsciously apply human-like personalities to brands, leading to intimate and, hopefully for the brands, lasting loyalties. Most brands are considered to have either "sincere" or "exciting" personalities. "Sincere" brands like IBM, Mercedes Benz, and New York Life tend to be perceived as conservative, established, and wholesome, while "exciting" brands like Apple, Abercrombie and Fitch, and Ferrari are perceived as imaginative, daring, and trend-setting. In general, consumers tend to form longer-lasting relationships with sincere brands than with exciting brands. Certainly, people have been choosing their possessions based on how they "looked" long before the advertising industry even existed. With the eyes containing two-thirds of all the sensory cells in a sighted person's body, sight is considered the most prominent of all human senses. Sensory marketing uses sight to create the brand's identity and create a memorable "sight experience" for consumers. This sight experience extends from the design of the product itself to packaging, store interiors, and printed advertising. A product's design creates its identity. A brand's design can express trend-setting innovation, like Apple, or dependable tradition, like IBM. The development of virtual reality (VR) devices is now allowing sensual marketers to create even more immersive consumer experiences. For example, Marriott Hotels' new "Teleporter" VR glasses allow potential guests to see and "experience" the sights and sounds of travel destinations before booking a stay. No aspect of product design is left to chance anymore, especially color. Research shows that up to 90% of all snap buying decisions are based on the colors of broducts or branding alone. Other studies have shown that brand acceptance hinges largely on the appropriateness of the colors associated with the brand—does the color "fit" the product? Over time, certain colors have become commonly associated with certain traits. For example, brown with ruggedness, red with excitement, and blue with sophistication and dependability. However, the goal of modern sensory marketing is to choose colors that portray the brand's desired individual personality rather than sticking with such stereotypical color associations. Along with sight, sound accounts for 99% of all brand information presented to consumers. More widely used in mass marketing since the invention of the radio and television, sound contributes to brand awareness in much the same way that humans use speech to establish and express their identities. Today, brands spend huge sums of money and time choosing the music, jingles, and spoken words that consumers will come to associate with their products. Major retail outlets such as The Gap, Bed Bath & Beyond, and Outdoor World, for example, use customized in-store music programs to appeal to the senses of their anticipated customer groups. Abercrombie and Fitch know, for example, that their typically younger customers spend more money when loud dance music is being played in the store. As Emily Anthese of Psychology Today wrote, "Shoppers make more impulsive purchases when they're over-stimulated. Loud volume leads to sensory overload, which weakens self-control." According to the Harvard Business Review, the familiar Intel "Bong" is played somewhere in the world once every five minutes. The simple five-note tone, along with the memorable slogal—"Intel inside"—has helped Intel become one of the most recognized brands in the world. Researchers believe that smell is the sense most powerfully linked to emotion, with over 75% of our feelings generated by odors. Today's fragrance industry is increasingly focused on perfecting perfumes for the brain—specifically, the brains of customers. According to Harold Vogt, co-founder of the Scent Marketing Institute in Scarsdale, New York, at least 20 scent-marketing companies worldwide are developing scents and aromas for companies to help them enhance their marketing and re-enforce their brand identity with customers. Over the years, the Fragrance Foundation says the consumer scent industry has grown into a billion-dollar business. The list of scented products they provide ranges from sanitizing agents and toilet paper to toothpicks and toothbrushes. In addition, the trade publication Drug and Cosmetic Industry reports that the fragrance industry is also moving into the conditioning of indoor environments using aromatherapy infusion technology. Natural and chemical substances are released into the air to improve feelings of well-being and even increase human performance. Scent conditioning systems are now found in homes, hotels, resorts, healthcare institutions, and retail stores. At Walt Disney World in Florida, visitors to the Magic House at Epcot Center are relaxed and comforted by the smell of fresh-baked chocolate chip cookies. 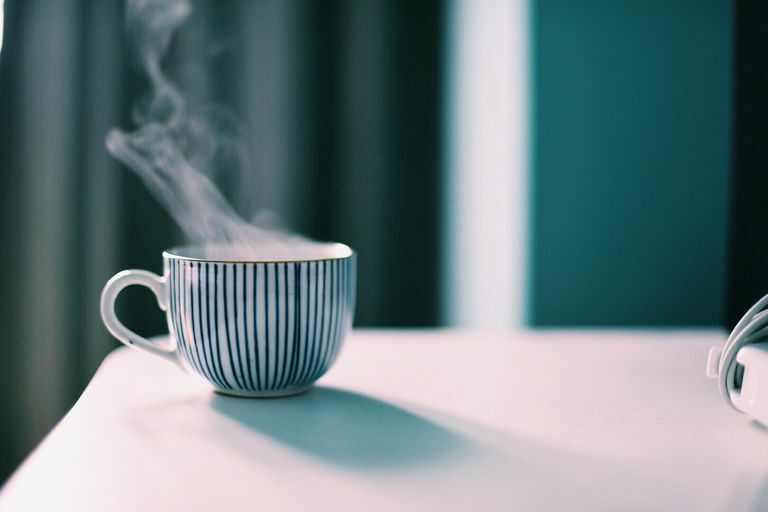 In-house bakery and coffee chains like Starbucks, Dunkin' Donuts, and Mrs. Fields Cookies, recognize the importance of the smell of fresh-brewed coffee in attracting customers. What smells work? Scent marketing researchers say that aromas of lavender, basil, cinnamon, and citrus flavors are relaxing, whereas peppermint, thyme, and rosemary are invigorating. Ginger, cardamom, licorice, and chocolate tend to stir romantic feelings, while rose promotes positivity and happiness. Another recent study showed that the smell of oranges tended to calm the fears of dental patients awaiting major procedures. Singapore Airlines is in the sensory marketing hall of fame for its patented scent called Stefan Floridian Waters. Now a registered trademark of the airline, Stefan Floridian Waters is used in the perfume worn by flight attendants, blended into the hotel towels served before takeoff, and diffused throughout the cabins of all Singapore Airlines planes. Taste is considered the most intimate of the senses, mainly because flavors cannot be tasted from a distance. Taste is also considered the hardest sense to cater to, because it differs so widely from person to person. Researchers have found that our individual taste preferences are 78% dependent on our genes. Despite the difficulties of generating mass "taste appeal" it has been attempted. In 2007, the Swedish food retail chain City Gross began delivering grocery bags containing samples of bread, beverages, sandwich spreads, and fruits directly to customers' homes. As a result, City Gross' customers felt a more intimate and memorable connection with the brand's products compared to those of brands who used more traditional marketing tactics, like coupons and discounts. The first rule of retail sales is, "Get the customer to hold the product." As an important aspect of sensory marketing, touch enhances customers' interaction with a brand's products. According to the Harvard Business Review, physically holding products can create a sense of ownership, triggering "must-have" purchase decisions. Medical research has proven that pleasant touching experiences cause the brain to release the so-called "love hormone," oxytocin, which leads to feelings of calmness and well-being. As with the sense of taste, tactile marketing cannot be done at a distance. It requires that the customer interact directly with the brand, usually through in-store experiences. This has led many retailers to display un-boxed products on open shelves, rather than in closed display cases. Major customer electronics retailers like Best Buy and the Apple Store are known for encouraging shoppers to handle high-end items. In addition, research cited by the Harvard Business Review shows that actual interpersonal touch, such s a handshake or a light pat on the shoulder, leads people to feel safer and spend more money. For example, studies have shown that waitresses who touch the diners they are serving earn more in tips. Today, the most successful sensory marketing campaigns appeal to multiple senses. The more senses appealed to, the more effective the branding and advertising will be. Two major brands noted for their multi-sensory marketing campaigns are Apple and Starbucks. In their exclusive stores, Apple allows shoppers to fully "experience" the brand. Throughout these concept stores, customers are encouraged to see, touch, and learn about the entire Apple brand. The stores are designed to convince prospective and existing Apple owners that the innovate brand is and will contribute to be the key to enjoying a "state of the art" lifestyle. As a pioneer in employing multi-sensory marketing, Starbucks' philosophy is to satisfy its customers' senses of taste, sight, touch, and hearing. The Starbucks brand serves up this comprehensive package of sensual gratification through the use of consisten flavors, aromas, music, and printing that is known to appeal to its customers. All music played in Starbucks stores worldwide is selected from about 100 to 9,000 songs on CDs sent to the stores every month by the company's main office. Through this approach, consumers in all countries and cultures are able to share much more than a good cup of coffee, but the entire "Starbucks experience."